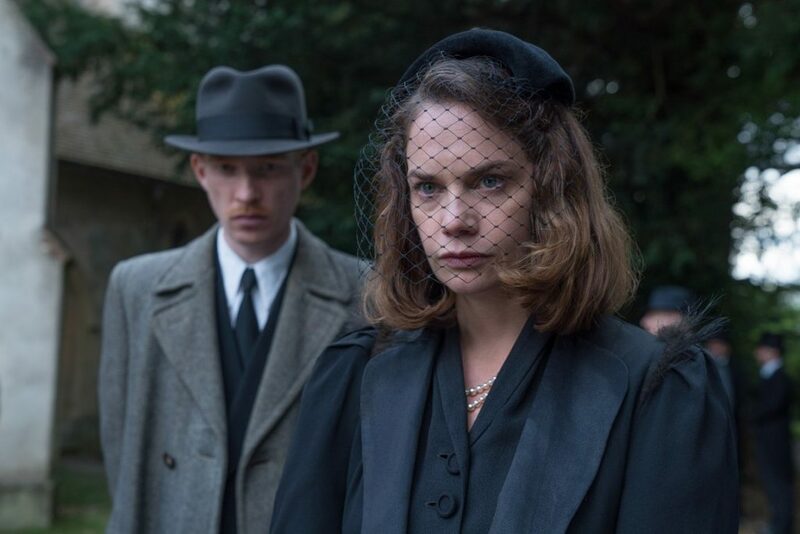 Aaron Neuwirth reviews The Little Stranger, a gothic romance that attempts to bring some light horror and plenty of atmosphere. There’s something to be said for attempting to revitalize gothic cinema, particularly the gothic romance. 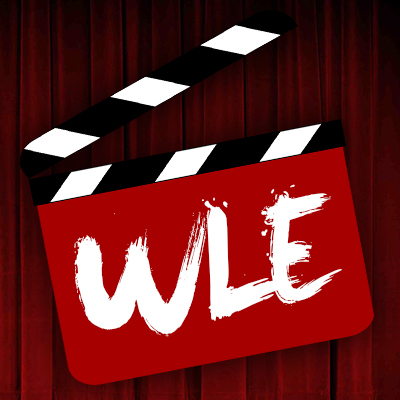 While westerns and musicals continually pop up every so often and tend to receive plenty of acclaim in some form, gothic movies, horror or otherwise, regularly fit into a particular niche. 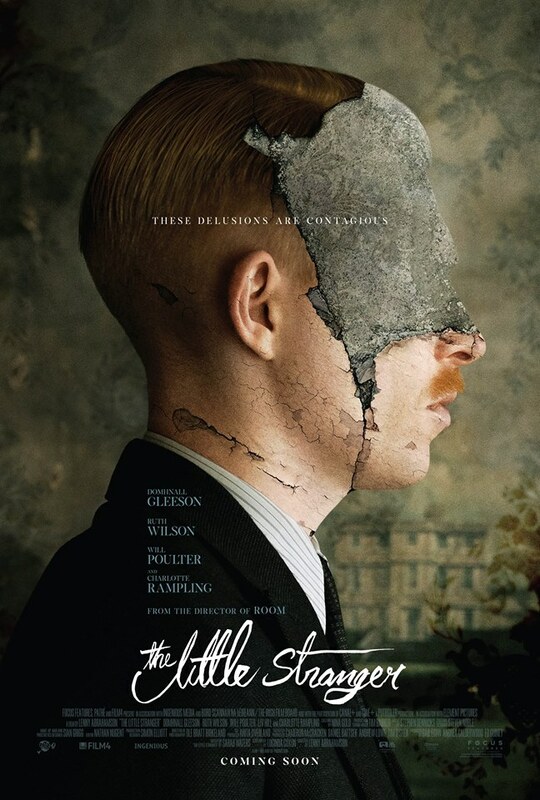 Perhaps that’s always been the case, but The Little Stranger is not about to merit the sort of attention that Tim Burton, in his prime, would get for his forays into the genre. While competently made and featuring strong, committed performances, the film attempts to engage the audience in a few too many ways and suffers as a result. 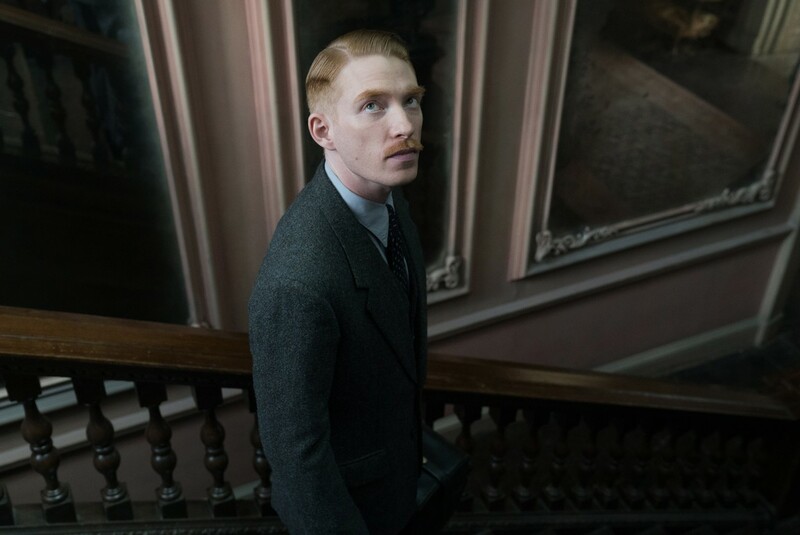 Domhnall Gleeson stars as Dr. Faraday, a country doctor who finds himself spending a lot of time caring for those living at Hundreds Hall in post-WWII England. Among its occupants is the mother of the house Angela Ayres (Charlotte Rampling), and her two children, disfigured war veteran Roderick (Will Poulter), and Caroline (Ruth Wilson). There’s also Liv Hill as the housemaid, but she’s only around to smile politely or toss a mild amount of attitude towards her employers when the time calls for it. What really matters is Faraday’s relationship with Caroline, as the two find themselves interested in each other, but also representing various sides of the times. 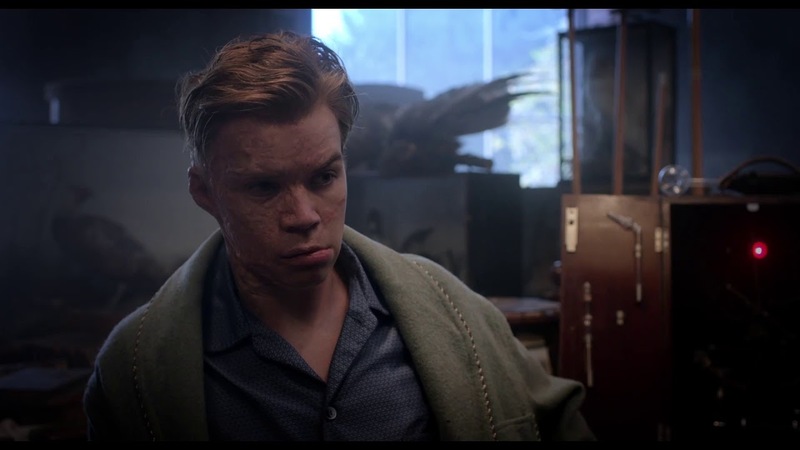 While not inherently interesting to all audiences, as the world is not at stake and Gleeson doesn’t quite have the habit of making quips while tending to the needs of old money, there is still a lot of work done to make us care for Faraday and Caroline. It works to the film’s detriment, given the pacing and structure. I can’t say I wasn’t happy to be involved in seeing a deliberately paced courtship between two stoic individuals, but layering in a possible horror element and not truly dealing with it until much later in the film did give me pause. That’s not to say I was impatient for big, sound effects-laden moments to jolt me awake, but walking away from this film, it’s been hard to determine which aspects were truly important. Director Lenny Abrahamson (Room, Frank) found what he needed to bring Sarah Waters 2009 novel to life, but he’s done so in a way that’s not very showy and somewhat stuffy. For all the intense close-ups we get to better take in the performances, I only wish more was done in making the large mansion a character. For all the work to build up the romantic tension, I wish the subtle haunted house story was given a chance to play into what’s kept these characters apart. Sitting somewhere between Rebecca and The Orphanage regarding how far the film is willing to go in laying out what sort of otherworldly aspects there are to accompany a setting that should also feel eerie, I wish The Little Stranger was willing to have more fun with its premise. That doesn’t mean having Faraday be more of a dolt or having Caroline suddenly start vamping it up, but more chances could be taken to heighten the atmosphere further. The most this film comes alive is in its moments with Rampling and some of the imagery that surrounds Poulter, both of whom are underused in a film that could greatly benefit from more of their presence. With that in mind, Gleeson and Wilson do what they can. Gleeson, in particular, feels hung out to dry a bit, as he’s proven to be quite deft at playing into the stiff Brit part and finding a way to make that enjoyable. Here, while capable enough, it’s not the most compelling performance for a lead character. Wilson, on the other hand, is pretty terrific throughout. Between her mannerisms and the way all of the other characters seem to put her down continually, there’s enough to make her interesting to watch, even if the film fails to commit to rising to a broader level. The Little Stranger ultimately misses out on being more interesting. While separate aspects of this story work quite well, I kept finding myself concerned with the lack of connection between them. Sure, the narrative supplies some thematic ideas that keep everything fitting together in a variety of ways, but not to the extent that made the film more palatable. I wish my level of engagement could have coincided with a movie that better situated its gothic aesthetic, but as it stands, I felt a bit uninvited.